Although China is tackling climate change and air pollution in a serious way, there is no way the country’s greenhouse gas emissions will peak anytime soon, says the influential Chinese climate scientist Professor Ye Qi in an interview with Energy Post. 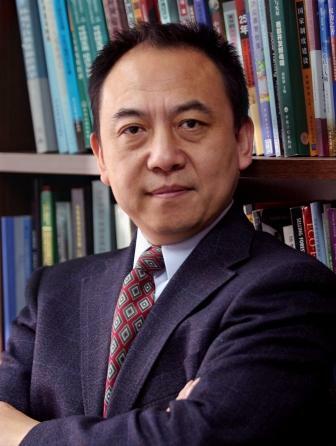 Professor Qi, who is Director of China’s Climate Policy Institute School of Public Policy and Management – part of Tsinghua University – and responsible for the publication of an important annual review of low-carbon development in China, says China’s emissions could peak by 2025 at the earliest. Energy Post had a wide-ranging interview with Professor Qi in March when he visited Belgium for a conference. Qi, who taught ecosystem management and climate change science at the University of California, Berkeley, from 1996 to 2003 before he went back to China, said frankly that there is no hope for a quick stabilization of greenhouse gas emissions, neither from China nor from the rest of the world. He also pointed out that a switch from coal to gas in China does not necessarily lead to lower CO2 emissions, as much of the gas China uses comes from coal gasification. 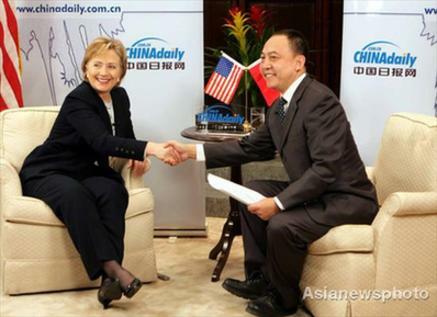 He said shale gas will not start to play a significant role in China before 2030. Interestingly, he noted that China may extend its current limited emission trading scheme over the entire country – if the EU can demonstrates that the EU Emission Trading Scheme works well. Q: How do you interact with policymakers? A: The Climate Policy Institute evaluates the effectiveness of policies that relate to climate change and low-carbon development in China. We primarily interact with the climate change department under the National Reform and Development Commission (NRDC), although we also work with other departments such as the Ministry of Environmental Protection. Our interaction is mainly through an annual review of low-carbon development in China. This is the fourth year we are publishing it. Each year we come here [to Brussels] to launch it – as well as doing so in Beijing and Washington. A: What’s in this year’s review? Q: Traditionally we have worked on low-carbon financing and the effectiveness of various climate change policies. This year we particularly looked at three other issues which are closely related to low-carbon prospects. One is air pollution control – how air pollution control policy and actions have enhanced policy implementation for capping, or putting a limit on, the growth of energy consumption. We also reviewed air pollution control and adjustments to the energy mix in terms of how that is affecting overall carbon emissions. The second issue is urbanisation. China is now at the height of urbanisation and we understand that this has some major implications for carbon emissions. Quite a few cities are going into national pilot programs for low-carbon development. Urbanisation increases overall carbon emissions, but we hope it could also alleviate some of the lock-in effect by going via a low-carbon pathway. If you build relying more on mass transportation, more on green buildings, you basically move onto a different path. A third issue we look at in this annual review is shale gas development. We would like to see whether China can follow the US and make shale gas play a major role in low-carbon development. Q: What is the state of play for shale gas today in China? A: It’s at a pretty rudimentary stage. Overall, production is still very low and we do not really see a major breakthrough in the near future. The technology that is being used in the US doesn’t seem to be the most appropriate one for China considering the geology and water resources in China. Q: Is there anything useful to learn from Europe? Well, we didn’t really compare China and Europe much; we just compared China and the US. Q: What is your expectation for shale gas’s future in China? A: If you look at the literature we probably cannot expect anything major before 2030. But from then on the prediction is that it will quickly pick up and grow fast. Q: What happens to China’s greenhouse gas emissions in the meantime? The Intergovernmental Panel on Climate Change (IPCC) originally said global emissions need to peak by 2015. A: If you look at the UNEP gap report, the current commitments will never get us to the 2 degrees target. The 2015 peak is essentially impossible for the world. For China there is no way we can have a peak as early as that. Q: China’s rate of economic growth has slowed down though. A: I think the economic slowdown will certainly help but still there is no way you can begin to peak in 2015. And that’s just China which is still in the middle of industrialsation and urbanisation. Think about the US – they’re way over these peaks and [yet] when you talk about an emissions peak in 2015 it’s still not likely. Q: How do you see China’s emissions evolving? A: I have seen studies that predicted a peaking time somewhere between 2025 and 2035. You hardly see any scenarios that give you a peaking time before 2025. That’s for China. It’s pretty much the same globally. Q: What does your annual review conclude about the effectiveness of different climate policies in China? A: I would say some of the most effective are in the industrial sector. There China uses some policy instruments that are quite different to those in Europe or the US. For China’s 11th Five Year Plan, from 2006-10, the government identified the 1000 largest energy consumers and targeted them. They implemented the “energy savings target responsibility system” – assigning a target to each enterprise and helping them achieve it. Helping them means helping them audit their energy consumption, as well as with technology, financing and management. That seems to be working very well. Since 2011, this programme has been expanded to 17000 enterprises and the list includes more than industry – even my university for example! It’s for all who consume more than 5000 tonnes of coal equivalent each year. The targets are mandatory and applied in two ways: 1) reduce energy intensity and 2) increase energy efficiency. A power plant for example, gets a target based on how much energy is used to produce one kilowatt hour of electricity. Q: Could you achieve an absolute decrease in emissions with that? A: Efficiency does not necessarily achieve an absolute reduction. I perfectly understand the importance of absolute reduction [but] it’s not realistic to ask these enterprises to have an absolute reduction. That said, the Chinese government is now requiring some of the cities [participating in low-carbon pilots] to make an absolute reduction in their greenhouse gas emissions. In 2010, the central government identified five provinces and eight cities for a first round of low-carbon pilots. In December 2012, it decided on another 28 cities and one province so now there are 41 participating provinces or cities. This represents a big chunk of carbon emissions. The government is requiring these to come up with a plan for peaking and reducing emissions in absolute terms. Q: What’s driving this? Air pollution worries? A: Air pollution has become a major driver of climate action because much of it is from burning coal. To reduce air pollution, you need to reduce the use of coal, which will reduce [GHG] emissions. But using less coal does not necessarily reduce the total use of fossil fuel energy. Some cities have seen a major shift from coal to gas – Beijing for example. But gas is in short supply in China and some of it comes from the gasification of coal, from Inner Mongolia for example. That may increase coal use in Inner Mongolia. So nationwide, a switch to gas does not necessarily reduce coal use. A: How attractive is gas from coal? Q: Making gas from coal is very energy and water-intensive so this is not necessarily a great way of producing energy. It takes more coal to generate electricity that way. Going directly from coal to electricity probably consumes say 280-290 grams of coal. But if you do coal to gas to electricity you use more than that. Q: What does it mean for air pollution? A: It reduces air pollution because you’re not burning coal directly. You remove the sulphur in the process of coal gasification. Scientists do not have complete consensus on this issue however – some argue that yes you can reduce sulphur and SO2, but you do not reduce the production of NOx and this is a major cause of fine particulate matter PM2.5 [which is bad for human health e.g. causing respiratory diseases]. Q: Where else could China get its gas from? A: It can come from gasification or imports from other countries or the extraction of shale gas. None of these is ideal. Substituting one fossil fuel for another doesn’t seem to be the ideal solution anyway – although it has worked very well for the US. Yet even there people have different views. Some say the US will have enough gas for a century. Some say no, it can go up to one decade. But the US is very fortunate because extraction is much easier over there and the financial cost is much lower than in other countries. Q: So what will China do? A: I hope there is a solution. Right now, the Premier is saying put a cap on overall energy use and therefore put a cap on overall carbon emissions. I think a cap on energy use is confusing for other countries but for China it’s okay because the vast majority of energy used is coal: cutting energy means cutting coal. They are more or less equivalent. Q: How do industries feel about that? Here we often hear that capping energy equates to capping growth. A: Industry will certainly suffer, especially in the short term. Sometimes they [the government] just close them altogether. They demolish power plants close to cities. I imagine that’s hard to do in any other place in the world. In 2010, the [central] government realised they could not meet the target for energy efficiency. Some local governments went so far they just ordered blackouts of electricity, even for hospitals. So you can see the kind of pressure local governments and business get from the top. Q: Outside of industry, what other climate and energy policies are working well in China? A: Building and transportation are two very interesting areas. Efficiency has been improving quickly but overall, emissions from these sectors are increasing very fast – faster than for industry. [In buildings] a big part of it is from heating and air conditioning. Per square meter energy use has been decreasing for the building sector – thanks to good policy – but the total built up area is increasing much faster so overall emissions keep rising. It’s the same for transportation. Cars are a lot more efficient. Chinese fuel economy standards are not as good as Europe’s but better than the US’s and better even than California’s. Nevertheless the number of vehicles is increasing very fast. Energy efficiency policies have worked, but there are other policies that have stimulated or did not really control the overall volume [of cars] and that part did not work well for carbon emissions. Q: How do you tackle these issues in buildings and transport? A: A different approach to urbanisation. In December 2012, the central government was due to release an urbanisation plan for the country. A lot of people expected a big push for investment. They were talking about 40 trillion yuan [€4.8 trillion]. Many were very concerned: they thought that if urbanisation goes very fast inevitably you will see major and very fast increases in energy use and carbon emissions. Opposition was voiced against the plans and the central government halted the idea. It took them an entire year to revisit the policy. By the end of 2013 when the new plan was released, the government was no longer encouraging very fast urbanisation with incentives for massive investment. So it is very aware of the negative consequences and trying everything it can to avoid very fast growth of energy use and carbon emissions. Q: Is it urbanisation itself or the speed at which it happens that’s the problem? A: We know that the urban resident consumes a lot more than the rural resident: up to 3-5 times more in China on average. So it’s related both to urbanisation itself and how fast it happens. Q: What is the value of a carbon market à la the EU Emission Trading Scheme (ETS) in your opinion? A: The carbon market in China is mainly a product encouraged and assisted by the EU, especially DG Clima [the European Commission’s climate department]. They’ve worked very hard with their Chinese counterparts on that. Right now, China has identified seven cities and provinces for trial runs. In 2013, five of them started their experiment and the total carbon emissions traded in those markets – 800 million tonnes – already made China the second largest market after the EU. They are not being given a lot of attention but Guangdong province alone – excluding Shenzhen which has its own market – is bigger than California! On one hand you see optimism that this market could play a greater role. On the other, people say that if the EU ETS doesn’t work well, then why should it work in China? Europe and the US certainly have a lot more experience of how a healthy market should work. We just started last year. The idea is to try it for a couple of years. If it works well, then the government plans to expand the programme to cover the entire country. Q: How could a market approach fit with the city and industry efficiency targets that already exist? A: The carbon market is considered a policy instrument that is very different to the energy savings targets and responsibility system, which relies primarily on administrative measures rather than on markets. They should work hand in hand. The targets can help set the cap for different regions, provinces and cities so local governments can engage in the cap and trade system. For industry, you disaggregate that cap. Technically, it should not be too difficult to do. The Chinese market will gain a lot of confidence if the EU ETS does well. Q: And finally, what about investments in green technologies and renewables? Does China see a future here? A: China has been the largest investor in cleantech in general and renewables in particular for the last five years. Last year, the world experienced a major drop in renewables investment and Europe’s decrease had a major impact on China. But the fact that China has not dropped that much – just 3% last year – is primarily due to the central government’s policy to increase domestic deployment of solar panels and wind turbines. Europe and the US getting tighter on subsidies and launching investigations [into Chinese dumping of solar panels] have helped cultivate a domestic market. There is a possibility this market will expand so much that it will help to further bring down costs and if it succeeds we can forget about the European or US market and just swallow all the production in China. There is a possibility of that. I think the government should be thinking in the longer term to have this bigger ambition. You can find the full c.v. of Professor Qi here. For another inside view of Chinese climate and energy policy, see our interview with Wu Jianmin, Executive Vice-Chairman of the influential China Institute for Innovation and Development Strategy, here.